Solving career questions. Making decisions easy. Best BBA colleges in Kolkata for boosting your career towards leadership positions in business. Boosting your career is not a child’s play, it takes vision and not just goals. If you are a BBA student and your ambition in life is only to make money, you are in the wrong boat. It’s much more than that; you need to lead and when you lead there comes a set of roles for self-actualization. The position that is given to an individual in the arena of leadership is nothing less than a pathway towards a success that takes a combination of smart work and hard work. There are many colleges in Kolkata that aims to train and groom the youngsters into becoming leaders from amateurs. The love for becoming the best is not a daily inspiration but professionalism and deadlines demand that conditioning from each and every individual no matter what the day is, how the day is and whatever the person is facing. Some of the best BBA colleges in Kolkata are Heritage Business School, NSHM Knowledge Campus Kolkata, Pailan College of Management and Technology, iLEAD, J.D Birla Institute and Future Institute of Engineering and Management. What these institutes impart to the students beyond the basic theoretical knowledge is the design to be the best in the chosen field of business. With that being said the top BBA colleges in Kolkata also gives the firsthand experience to the students, iLEAD excels in providing the extra professional edge to the students via industry visits, seminars, workshops and internships. Experience, reading and learning from mentors is by far the most effective way to become what you want to be and the top BBA Colleges in Kolkata already know this. After your college days are over and you start facing the music of the real world, it is inevitable that you are going to fail but you can reduce the failures by a great amount via learning from the best. You don’t wake up one morning and become the best or the leader of your organization or people. People working with you and for you may range from 5-50,000. The leadership skills don’t change. Now some people inherit some skills from their family who had been successful. Some of the lessons you are going to learn in the best colleges are Principles of Management, Financial Management, Fundamentals Of Entrepreneurship, Business Regulatory Framework, Marketing Management, Business Economics, Statistics and much more. Here’s an analogy, you don’t jump into deep water directly without learning how to swim and become Michael Phelps in a day. First you need to find a place to learn and learn in shallow water before you jump into deep water. But to become Michael Phelps your schedule has to be extraordinary and impress Michael Phelps himself. Without that you will be someone like a mid-level employee but not the leader of your pack. 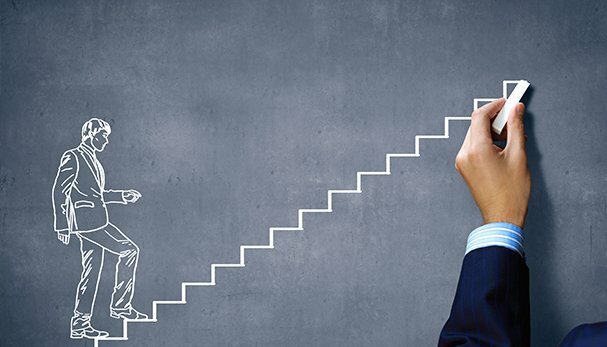 You can only coach, lead, train and inspire when you yourself have achieved something and in the world of business and leadership and you can only achieve when learning is the first step and learning from the best is one step closer to your goal. 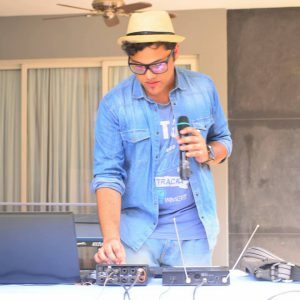 About Samrat:An editor for various publications and a faculty of Media Science at iLEAD, Samrat after a decade of dating and impressing the world of media can often be seen on Sundays at various Kolkata cafes with a guitar, diary and microphone. Literature, jazz music and thunderstorms helps him write poetry, reports and movie scripts which gets him compliments, published articles and awards from various countries at his doorstep when he least expects them. He has a fetish to emcee, teach and sometimes sing on stage and also completed courses in Photography and French (DELF A1) with distinction. Fitness, fashion, education and academics lures him although he can be a glutton for Bengali and Italian food, a talkative movie buff and financial philosopher during weekends. ← What are the benefits of specializing in Marketing in a BBA program? Copyright © 2019 Edugenius Blog. All rights reserved.